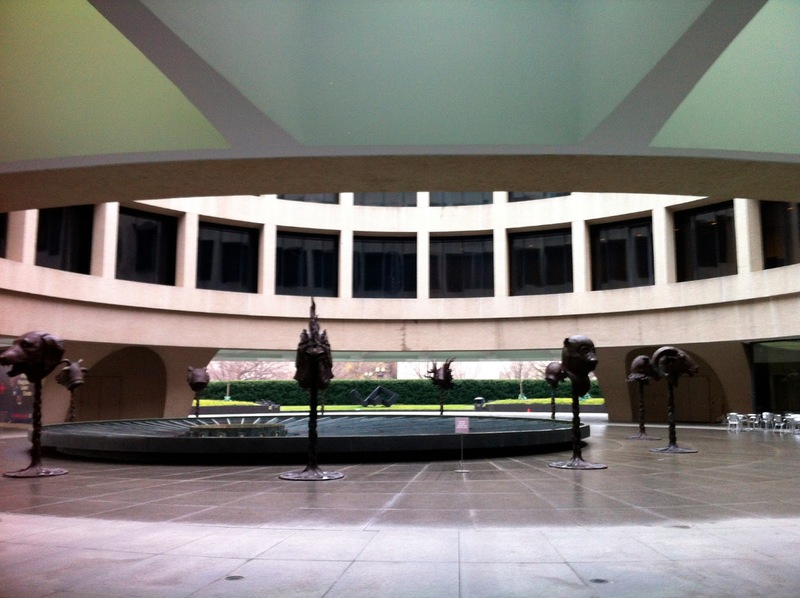 The Hirshhorn installed Chinese artist Ai Weiwei’s Circle of Animals/Zodiac Heads around the fountain in the Museum’s outdoor courtyard. 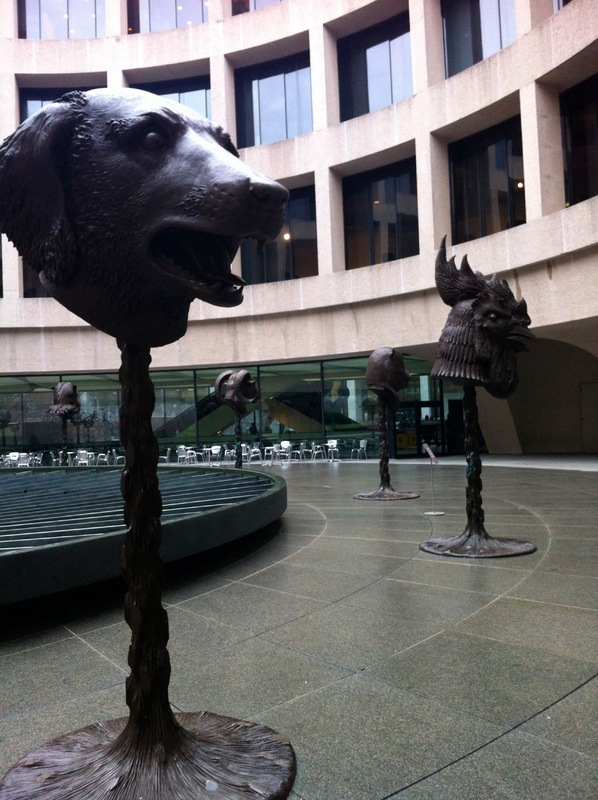 The bronze animal heads represent the signs of the Chinese zodiac. 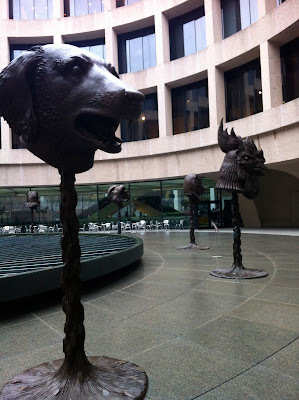 They are enlarged versions of original eighteenth-century heads of a fountain clock designed for a Qing dynasty retreat outside Beijing. They were later destroyed by invading Europeans.